Ricky Ponting and his attitude towards SUCCESS!!! It’s a story about Ricky Ponting, one of the Greatest Cricketers to have ever approached the game. 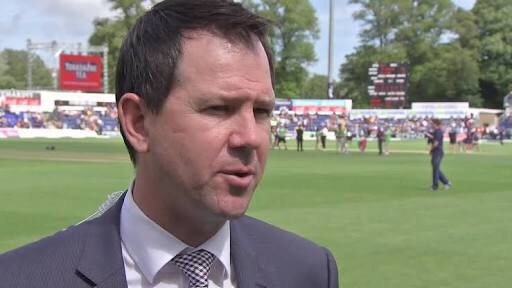 The trait that made Ponting different from other cricketers was his sheer attitude towards the game. It was his never-say-die spirit. It’s a revelation of that attitude. Someone once asked him the secret to his ability to find the gaps in the field. His answer was simple, yet revealing. He said, “Every batsman surveys the field before taking strike, and usually the fielders get imprinted on his mind. They can almost see every fielder in their mind’s eye. And that as his tally of runs shows made all the difference. Don’t focus on the obstacles. Focus on your ability to solve the problems. Life in many ways is like a game of cricket. There will be fielders out there who will stop you from scoring those runs. There will be an opposing captain who will try his hardest to place the fielders in a manner that will make it difficult for you to score those runs. Your job is to find the gaps. Next time, you see a problem or an obstacle, think the Ponting way. And see the gaps! No matter what, success will be your’s!!! Next ›What is in a Filter Coffee?